Will never go out of fashion! The Willow Chair is a quality armchair that combines excellent design with comfort and practicality. The armchair works perfectly in any room in the home. It's a versatile seat that supports the spine with the slight curve in the high back and a shallow seat. The arm rests are perfectly positioned to give excellent support, ensuring the user feels comfortable and rested. The Willow Chair in sapphire has a retro vibe while being firmly routed in the 21st Century. The best materials and craftsmanship have been used in the creation of the Willow Chair in sapphire. The sapphire upholstery is soft to the touch yet strong and resilient to modern living. The peg legs have a retro feel, which compliments the stunning sapphire fabric and overall design of this incredible piece of furniture for the home. The Willow Chair is perfect to use as an occasional chair or an everyday chair in any room you choose. Add interest to the home using the Willow Chair in sapphire as the focal point. Place the chair to the window or in a quiet corner in the room. Dress the corner with a simple potted plant, an attractive floor lamp or contemporary table and use it as a place to read your magazines or browse your laptop in pure comfort. The Willow Chair is the perfect accent piece for the living room, lounge or bedroom. The Willow Chair in sapphire is at home in any space. Use it as an occasional chair in the guest bedroom, a practical chair in the living room or even a cosy chair in your bedroom. 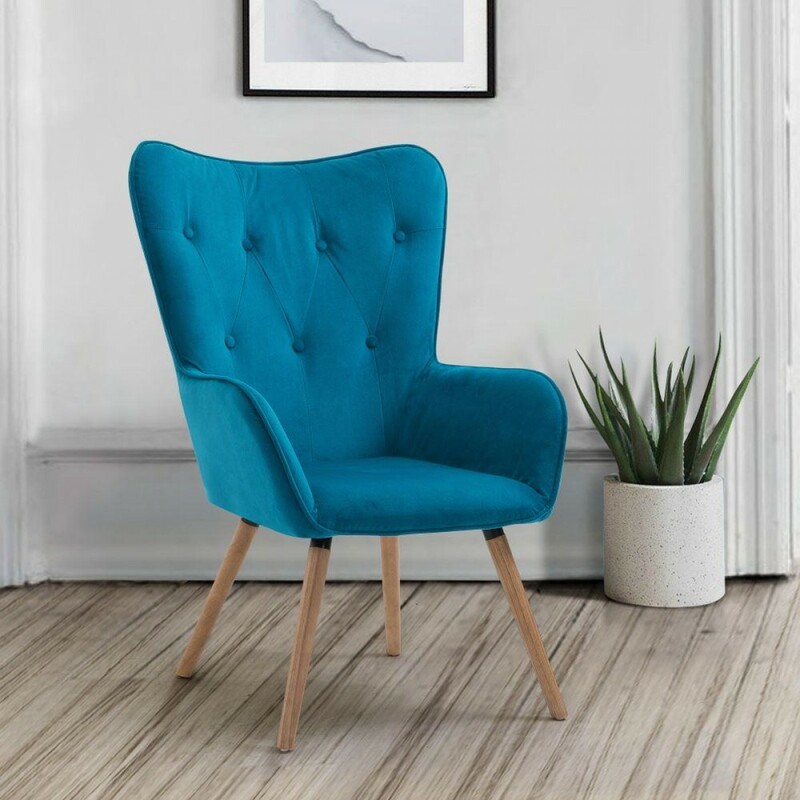 The options are endless thanks to the stunning design and colour of the Willow Chair. The Willow Chair is available in a variety of colours.